Are you looking to save on your electricity and gas bills, without sacrificing comfort? If so, family-owned Benfatti Air Conditioning and Heating has got you covered! Many homeowners and landlords are turning away from old, broken down and inefficient AC Systems and furnaces and saying “Yes!” to newer, more energy-efficient heat pumps. And they – and their tenants – are thanking us endlessly for their lowered utility bills. Benfatti Air Conditioning and Heating has been helping metro New Orleans residents save on energy bills since 1989. We offer professional heat pump maintenance, repair and installation in Slidell, Covington, Mandeville and metro New Orleans. So, what exactly is a heat pump, and how can it save you money? When you want to cool off during the summer months, a heat pump takes the heat energy from inside and moves it outside of your home. And, get this. A heat pump uses about one quarter of the electricity that a traditional HVAC appliance does. The result is that you get the temperature you want, when you want it, while paying lower gas and electricity bills. It’s a win-win! If you’ve decided to enjoy the cost savings that heat pumps can offer, you need to make some choices about what type of heat pump you’ll use. The most popular choice amongst heat pump users, an air-source heat pump works by moving hot air back and forth. This type of solution can reduce your electricity bill by as much as 50%, compared to traditional furnaces. And here’s a benefit for those of us who live in the deep south; air-source heat pumps dehumidify better than central air conditioners. If your home or business doesn’t have air ducts, then a air-source heat pump won’t be an option for you. But, you can still go with a mini-split heat pump. This option is small in size and very flexible, and could even be used to cool or heat an addition to your home that doesn’t have ducts. For those Southeast Louisianians who want to save the most energy and the planet all at the same time, a geothermal heat pump is a great option. This solution transfers heat between your home or business to either the ground or a nearby water source. Talk about eco-friendly! The latest technology on the heat pump market, absorption heat pumps work by absorbing heat from a source such as natural gas, propane, solar-heated water or geothermal-heated water. Some people call these gas-fired heat pumps because they most typically use natural gas. 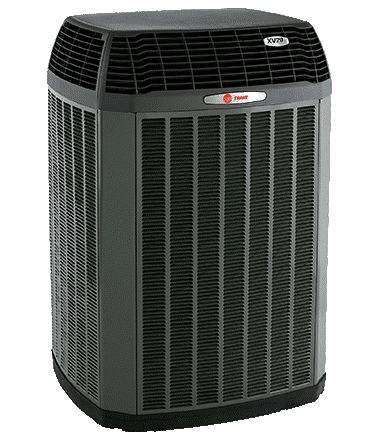 If you’re in the market for a new HVAC system and want to spend a little extra investing in your home’s infrastructure so you can save big on utilities costs, then you should definitely be considering heat pumps. As trusted HVAC installers on the Northshore and Metro New Orleans, we have the experience and expertise to help walk you through your decision. Call us today at (985) 646-0540 on the Northshore or (504) 241-3135 in Metro New Orleans to ask us a question, get an estimate, or schedule an appointment.